Home » Jurgen Klopp is SACKED? “Sack Klopp to save the league,” demands Liverpool fans. 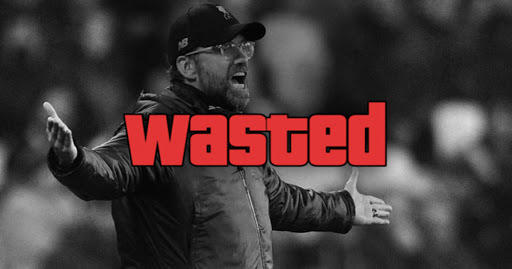 Jurgen Klopp is SACKED? “Sack Klopp to save the league,” demands Liverpool fans. It seems like Liverpool’s struggle will continue to last and it is likely to say that they are about to lose hands out of the title as Manchester City has again leveled back on the top after a dramatic 1-1 draw against West Ham. This has led to a wave of criticism towards Liverpool boss Jurgen Klopp and if sources have to be believed, Klopp has been sent a warning by the management as the team seems to be relying mostly on the front three- Mohamed Salah, Sadio Mane and Roberto Firmino – who have 42 goals between them. The team didn’t saw any goals from the midfield, this calls for a lack of confidence among the players. This has raised questions over Klopp’s method. The sacking of Klopp would be an ignorant decision but it seems like Klopp is given another chance to form a team confident enough to score some goals. Despite of numerous chances for both the sides in the second half, neither could grab a chunk of luck and balanced the game. Liverpool turned out to be those predictable team that if their opponents managed to crack the wall, they might find a piece of fortune. If Man City knocked out Everton on Wednesday night, it is certain for Liverpool to lose the title again and so their fuming fans as well. With the improvement, Manchester United displayed soon after the sacking of Jose Mourinho and appointment of Ole Gunner Solskjaer, it seems like Liverpool is currently in desperate need of a change. Losing fans would cost them big and looks like fuming fans isn’t ready to let go off Liverpool but desperately wants the sacking of Klopp. The Reds spurned the chance to go three points clear of Manchester City at the top of the table as they drew 1-1 at the London Stadium.